The Balearic island of Menorca is best known for its balmy weather and lively beach resorts – but there’s more to this Spanish gem than sea and sand. Make your Menorcan holiday the trip of a lifetime by planning these top activities into your agenda. 1. A horseback tour: While Menorca’s coastline is dominated by beautiful sandy beaches, its secret interior is largely made up of pretty countryside and rolling woodland. Leave your car at the resort, and get off the beaten track with a horseback safari. Tours cater for riders of all levels, and you can enjoy anything from an hour to a whole day of exploration. 2. Head out to sea: It isn’t just the island of Menorca itself that’s worth exploring – the surrounding waters are teeming with life and boast beautiful underwater views. If you don’t fancy donning a diving suit then why not take a trip around Mao Harbour in a glass-bottomed boat? The regular excursions running from the harbour take in classic views of La Mola Fortress, Fort Malborough and Lazaretto Quarantine Island as well as giving visitors the chance to glimpse the varied underwater scenery. 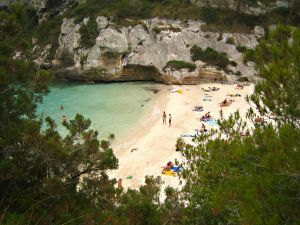 If you book a Menorca all inclusive holiday with a travel company such as On The Beach then tours will often be part of the package. 3. Climb Monte Toro: Don’t panic – Menorca’s highest hill is just 353 metres above sea-level, so you don’t need a head for heights or an untenable level of fitness to reach the summit. If you do brave the heat to make it to the top, however, then you’ll be rewarded by a beautiful panoramic view of the island and the sea. 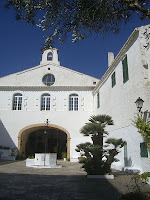 You’ll also pass a 17th century sanctuary now inhabited by a community of Franciscan nuns. 4. Join in a fiesta: Menorca is a lively place, and its summer calendar is packed with festivals and fiestas. Most of the large towns have their own fiestas in the months between and included June and September, and the celebrations can include horse-back displays and parades, music, food, drinking, games, races and fireworks. If you miss out on a fiesta then there’s always a festive atmosphere at the regular Aero Club and Hippodrome trotting races, which are held every Saturday evening at 6pm during the summer.